Indian Psychology Institute — What is new? The main addition this year is a consolidated page for resources for integral Indian psychology, and a companion page for the book Indian Psychology, an experiential approach by Neeltje Huppes. There are also several new pages and hundreds of small corrections to Infinity in a Drop. To say that the "What is new?" page has not been maintained very actively is somewhat of an understatement, and much new material has been added to the site that has not been recorded here. Most noteworthy are perhaps the blogs and some new chapters of "Infinity in a Drop". Recent examples of the latter are Concepts of consciousness" and An ongoing evolution of consciousness. Most of the new material on the IPI-website has to do with teaching Indian Psychology. The most interesting addition is the Infinity in a Drop outline. This is the outline for the course on Integral Indian Psychology, which is part of this year's 8-months course Indian Psychology. The idea is that in due time most items will be linked to actual texts. A few sample links have already been made. A number of small tweeks have been made to the IPI website to make it more touch-screen friendly. A separate page has been added to highlight some of our articles about education. Rangaswami, K. (2005). Psychotherapeutic concepts in the Atharva Veda. This chapter enumerates methods developed in the Atharva Vedic Upanishads to develop personality and overcome mental sufferings, and have similar components as those in some contemporary psychotherapeutic methods. The Atharva Veda also suggests ideas about mind (manas), and its normal and abnormal nature. We have added at the top of all pages a "sharing button", which should make it easier to share IPI pages with others. When you click on it, you are guided to a larger map showing the many different places from where people have visited our website (since 19 July 2012). 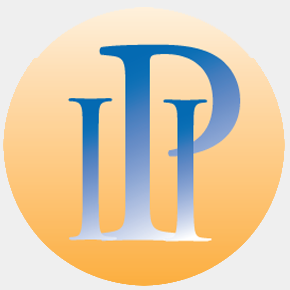 We have added a special web-page from where back-issues of IP News can be downloaded. This article provides an overview of Sri Aurobindo's psychological thought and system of Integral Yoga Psychology (IYP). Relevant biographical and historical background is introduced, and his influence on the development of transpersonal psychology reviewed. Using Sri Aurobindo's cosmology of consciousness as a framework for transpersonal experience, IYP's model of planes of consciousness and parts of the being is explained and illustrated with quotations from Sri Aurobindo's writings. Emphasis is placed on the psychic being (soul) and overhead planes of consciousness, as these are central to IYP's psycho-spiritual method of transforming the ego. Finally, implications for transpersonal development and transpersonal therapy are formulated, and some clinical applications given. We are happy to announce that finally both volumes of Foundations of Indian Psychology have come out. This collection of 40 invaluable articles on Indian Psyhcology has been edited by Matthijs Cornelissen, Girishwar Misra and Suneet Varma. It is published by Pearson Education, New Delhi. (or on the picture of the cover). This chapter elucidates some of the deepest and highest horizons of mankind based on Sri Aurobindo's vision. He foresaw new possibilities of the human instrument and developed techniques for further development of human potential. The evolving soul or psychic being has an important function in this new development. This article explores the social, psychological and historical processes through which the Sikh community has categorised and differentiated itself from other communities to form a distinct self. The self-construal of the Sikh community is constituted by spiritual, heroic and aesthetic images. It has a core which shares certain religious, social and cultural attributes, and a unique blending of continuity and change has helped the indigenous and local Sikh community to have a global presence. This chapter examines the different meanings of "Indian psychology" and discusses the basic concepts and constructs to present a historical introduction. The chapter explores the role of religion on coping with the stresses of incarceration by prison inmates, and in bringing about a sense of well-being and happiness in their dismal existence. The efficacy of yoga, meditation and spiritual counselling have been further explored as life-transforming tools with the potential to bring about attitudinal and behavioural changes that render them less likely to return to the prison later. This article is written about the Introductory Course on Indian Psychology oraganized by IPI. This paper addresses the split created between 'science and 'spirituality' within dominant academic discourse which is leading to inner chaos in the minds of modern youth.It has further highlighted the need to have a dialogue between scientists and spiritualists to bridge the split. We have added a special web-page on Teaching Indian Psychology. as well as a section on how to do research in Indian Psychology. A new web-page has been added, meant for people who want to teach or study Indian Psychology in an academic setting. It is is called "Teaching Indian Psychology", and has the syllabuses and recommended reading lists for a number of courses on Indian Psychology that have come up in India during the last few years. It also has the contents pages of a few selected source-books on Indian Psychology. It is available from the "articles" menu. The listing of articles by subject has a new option that lists only those articles of which the full text is available on the IPI website. The listing of articles sorted by author has received a similar face-lift. Some time earlier we added a simple way for people to register their email address with us. It is available on all the main pages of the IPI website. A list has been made of all texts on the IPI websites that are in one way or another related to integral yoga and integral psychology. The list is accessbile from the IPI website as the fourth item on the subject-wise listing, and from the saccs website as a separate page. The "technology update" of the IPI and SACCS websites has been far more complicated than anticipated. Our sincere apologies for the many moments when the sites were not looking as they should! We hope the disruptions have been worth it. The main addition has been the inclusion of the Thematic Index of Mothers Collected Works in the SACCS site. In its "Introduction page", you will find a short explanation why this is such an important resource for anyone interested in the psychological aspects of Sri Aurobindo's work. Over the last few weeks, the technology underlying the IPI website has been changed considerably. It will now be much easier to add new material to the site while maintaining a consistent style. The changes have also made it possible to install drop-down menus and to incorporate blogs. Dalal, Ajit K. (2010). Folk wisdom and traditional healing practices: Some lessons for modern psychotherapies. This article makes an effort to conceptualize and situate the emerging field of Indian psychology(IP) in the disciplinary matrix. The meaning, scope, critical features and misconceptions about IP have been articulated. The chapter deals with growth and expansion of social psychology in India. It illuminates how western social psychology went through the process of indgenization in India. The paper seeks to present preliminary findings from a qualitative research project -- an interpretive inquiry -- that explores how spiritual ideals held by individuals inform the social psychology of Auroville, a growing international town of 1,800 people from over forty countries. The article focuses on a consciousness-based approach towards health and healing. According to the author an illness is essentially an inner disequilibrium and that the healer's task is primarily to help the pateint regain the inner and the outer balance. A well-developed research paper on the importance of spirituality in management: its role and relevance. As the author states, "the major thesis of this research is that spirituality of employees is reflected in work climate" and this in turn leads to a positive affect of the employees' service to the customers. Since three years, Vladimir Iatsenko gives wonderful weekly classes at IPI on the psychological aspects of the Rig Veda. We have started putting the annotated translations of the concerned slokas on a special web-page. To ensure the proper rendering of Devnagri and diacritics, these texts are posted as PDF files. Dependent on your browser they can either be downloaded or read inside the browser itself. 0ver 120 abstracts of papers presented at the National Seminar on Indian Psychology: Theories and Models have been posted on the web at http://ipi.org.in/texts/nsip/nsip-syn.php . They have also been integrated with the topics and authors pages of the ipi website. All pages directly related to the Integral Yoga of Sri Aurobindo and the Mother have been shifted to the website of the Sri Aurobindo Centre for Consciousness Studies, http://saccs.org.in. The texts of two booklets on Integral Psychology have been added to this same website. They can be found here. The names of all directories and webpages have been made lowercase. This may cause temporary inconvenience, as uppercase links from other websites may not function anymore, but it should improve its functioning in the long run. The website of the Sri Aurobindo Centre for Consciousness Studies, which had not been maintained for a long time, has now been integrated fully with the website of the Indian Psychology Institute. A few new events, links, and papers plus many small corrections is all the news there is. Do have a look at the National Seminar on Indian Psychology on the events page. It will be held from 26 to 28 December 2007 at Bangalore. A whole new section has been added, called, By the Way. It is meant for the young -- in spirit, not necessarily in years -- and contains short essays, stories and poems related to Indian Psychology in its widest sense. 29 more full papers have been uploaded. They can be accessed through the topics page, and through the Authors page. A new page has been added with texts by Sri Aurobindo and the Mother on Integral Yoga. October 27-30, 2006 on the events page. Numerous small improvements have been made throughout the site. The texts are now also listed subject-wise on the topics page. The first PhD and Mphil studies have been added to the IP research page. A new page has been added with Inspirations. The looks of the site have been improved by a more systematic use of templates and styles. A beginning has been made with adding below the texts the email addresses of the authors, so that they can be contacted more easily. A few new links and a membership form have been added. Right now everything on this website is new! For regular email updates on the developments at IPI, subscribe to the IPI-Newsletter!